« Two Months in Book Shopping; or How I Tried to be Moderate but Didn’t Entirely Succeed …. Wow this sounds fascinating. I read a novel by Helen Garner a few years ago too – The Spare Room, beautifully written I seem to remember. This is one I should look out for. That was the book that made me pick up this one – it’s just as well done and I think you’d appreciate it too. This sounds compelling and so interesting – one for the to-read list, I think! Yes, it is a compelling case, and the author’s ‘involvement’ really pulls you in. I’m so glad that Garner is garnering (see what I did there?) an international following. She’s an extraordinary writer. I love how she tries to get down into the real nitty gritty of a case & how she refuses to demonise. She is wonderful. She doesn’t have a very high profile here, but she is publishes when sadly any other interesting authors from other parts of the English speaking world aren’t. Are there any other of her books you’d particularly recommend? Sadly for me, house of grief was my first Garner book, although I read a lot of her articles and op ed pieces over the years. She is also a regular attendee at the local Writer’s Festivals. From what I’ve read and heard, spare room will be my next. Wow, this sounds amazing. I like true crime, but this sounds beautifully done. I’m definitely going to look out for this in the library. It is well done, with intelligence and sensitivity, and I hope you’ll find a copy. I read The Spare Room last year and resolved then to read this book at some point, even though the death of children is always hard for me to read about. I wondered whether it mattered that the accident happened in Australia, whether that would make it a “local” book. But it doesn’t sound like it made a difference in your reading experience. It was sad to read, but the author was sensitive and respectful of the family’s feelings. Australian court proceedings seemed very much like British ones – not that I’m an expert – but the focus is on the evidence and the human story, which could have happened anywhere. I read about this somewhere else and remember being intrigued. You make it sound very compelling, Jane! 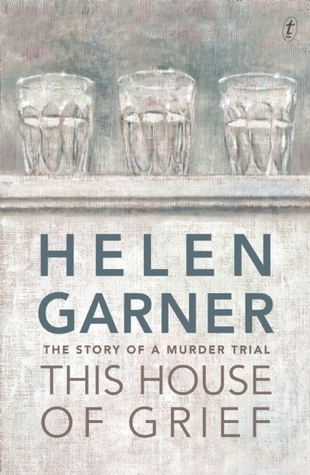 It is compelling, and Helen Garner tells the story very well. This sounds really interesting, though possibly a difficult subject to read about? The subject is upsetting, but because the author is sensitive and respectful, and because justice being served is so important it felt right to keep reading. I’ve just got a copy of this one and after your review I’m even more keen to read it especially as it sounds like it is presented in a balanced way. It is very well done. and I think you’ll be impressed too. I loved this book too! Like you, I found it absolutely compelling. You might enjoy this article from Helen from The Monthly on her fascination with the dark side https://www.themonthly.com.au/issue/2015/july/1435672800/helen-garner/darkness-every-one-us . I certainly did.